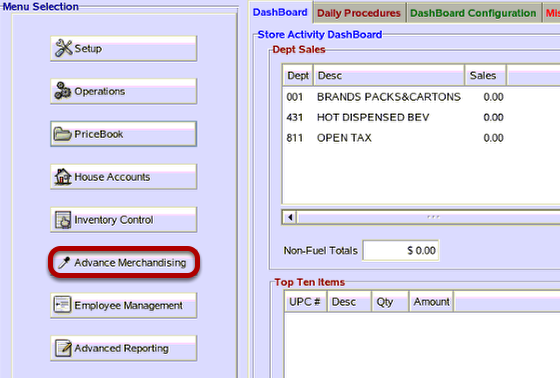 TravStar1 Point Of Sale SystemManager's Work Station Advanced Pricebook ManagementHow Do I Setup a Mixed Price Quantity Discount? How Do I Setup a Mixed Price Quantity Discount? This lesson will teach you how to setup a mixed price quantity discount. (2) The type 3 discount will be used for a mixed price quantity. (3) The quantity will be 2. (4) The price will be 1.00. This means that that any two items with price will ring up 2 for $1. 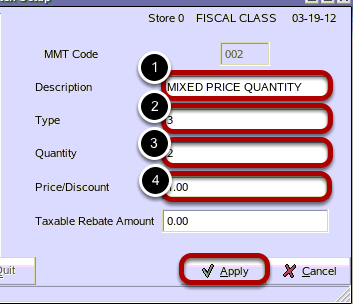 Prev: How Do I Setup a Quantity Discount? 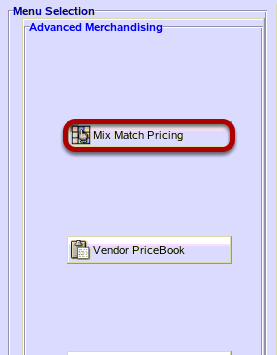 Next: How Do I Send Mix Match Files to the Register?